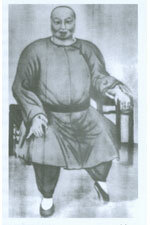 Pa Kua was an unknown art prior to the life of Dong Hai Chuang (1797 - 1882?/1896? ), who was born in Wen An in the Hebae Province. 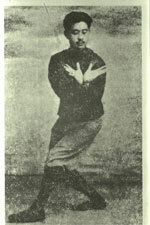 Hsing Yi and Tai Chi were by then well-known arts and Dong was a contemporary of Yang Lucan (1799 - 1872), the founder of the Yang Style of Tai Chi. While working in a mundane position for the royal family under an assumed name, Dong was seen leaping atop a building. Word of his skill reached his employers, and the prince gave Dong a position as bodyguard. Jealous rivals mounted an attempted assassination while he slept, but Dong defeated them. His attackers became his first students and from then on, Dong taught Pa Kua. Cheng Ting Hua (1840? 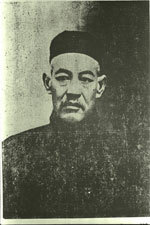 - 1900), an eyeglass seller by trade, was Dong Hai Chuang's most famous student. In the wake of the Boxer Rebellion, Cheng clashed with a group of foreign soldiers who were harassing elderly locals and single-handedly defeated all of them. The soldiers learned who he was and the group of them ambushed Cheng, shooting him to death. 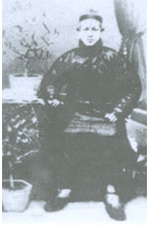 Cheng's son, Cheng You Long (1860? - 1928), an artist, was a Pa Kua master in his own right. Sun Sikung (1883 - 1952) studied under Cheng You Long. 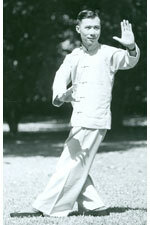 Sun began his school, the "Moral Martial Arts Society," in 1931. A renown teacher, he taught for many years until the communist takeover of China in 1949. Persecuted by the communists for his religious beliefs, Sun was sent to the firing squad, but his skill was so great that he was able to survive, feign death and escape to Hong Kong. 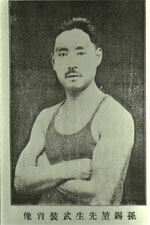 Sun later moved to Taiwan and lived there for the remainder of his life. While Pa Kua became better known due to Dong, its comparatively late development gave the school a very different character than older established styles. In its short history, there was no formal teaching tradition developed. Every Pa Kua teacher after Dong taught in their own way and kept many secrets. 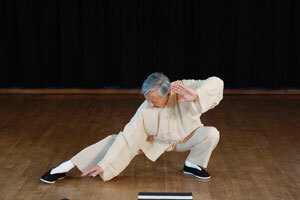 Additionally, sweeping social changes in China made martial arts less significant. It would not be until the 70's that a revival came about, but by then the reasons for its popularity were heavily influenced by economic factors. 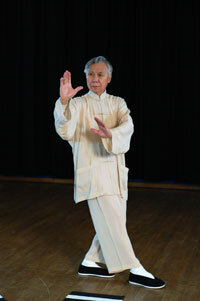 Many so-called Pa Kua teachers who emerged during that time had very little genuine training and practice.